​​Lifespan Of A Mosquito - How Long Do They Live? Mosquitoes are perhaps the number one insects to negatively affect our quality of life. These blood-sucking bugs have been around for more than 175 million years, and there are over 3,000 known species. Mosquitoes have even been found on mountain peaks, over 14,000 feet above sea level. Their incredible adaptability has enabled them to outlive the dinosaurs. Some believe that if human interference doesn't render them extinct, they will likely survive us, too. 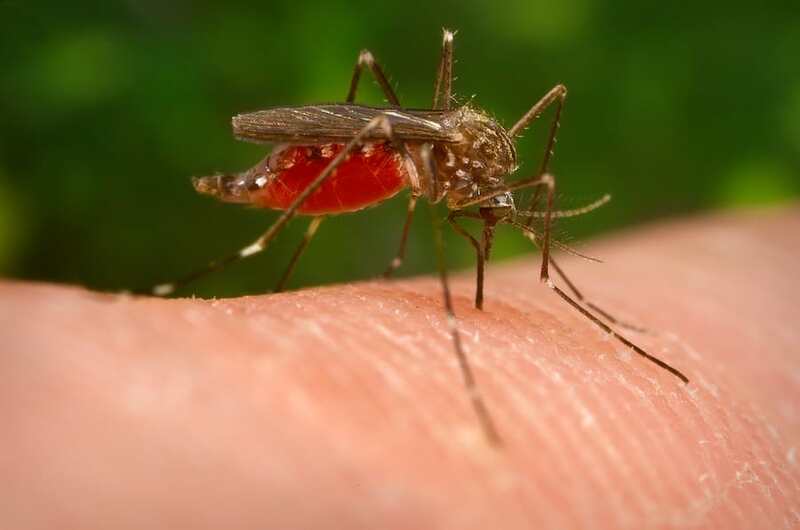 Almost all of us have experienced the irritation of a mosquito bite, but have you ever wondered how long mosquitoes can live? This article examines these amazing insects in more detail to find out. In order to effectively answer this question, we need to understand the life cycle of a mosquito. At various points during its life, development can be stunted or delayed, depending on species and external conditions. Let’s start by examining the life cycle stages one by one. Depending on the species, female mosquitoes lay their eggs either one at a time or all together in clusters, called rafts. The eggs are designed to float on the surface of water. They are commonly found in areas that are prone to flooding, either naturally or artificially. Eggs usually hatch after a few days. However, mosquito eggs are capable of remaining dormant, even for years at a time, until optimal hatching conditions are met. Mosquito eggs have been known to survive through many harsh situations. Eggs in the desert will quickly hatch during seasonal rains, and the resulting critters grow up fast before the resultant puddles dry up. In temperate regions, eggs can withstand being frozen in the cold, hatching when the weather becomes warmer in the late spring. Eggs laid at the same time can, however, hatch at different intervals. This is to avoid the larvae from competing for nutrients, and offers more chance of survival. The larval stage of the mosquito is just as adaptable as the egg and adult stage. Depending on the availability of feeding resources, temperature, and species, the phase can last between four days and two weeks. Larvae hang suspended from the water’s surface, because they need air to breathe. A siphon, which is the larva’s air tube, acts as a snorkel, extending from its posterior to the water surface. The larva’s defense mechanism is primarily diving to the bottom of the water when confronted with danger. Mosquito larvae feed on aquatic microorganisms near the water’s surface. As they feed, larvae molt four times, each time forming new and better exoskeletons. There is no feeding during this time. However, unlike other insect pupa stages, mosquito pupae are still physically active. When faced with danger, the pupae tumble or roll to escape. This is another reason why mosquitoes have successfully survived for millenia. This particular stage is the shortest, lasting a maximum of four days. The adult phase is the most delicate, especially for males. Male mosquitoes are smaller and more fragile. For this reason, the males emerge first and hang around waiting for the females to appear for mating. After mating, the female will then feed on nectar and blood to nourish her eggs. After a blood meal and laying the eggs, a female mosquito’s life cycle is normally complete and she will die. Some species, though, will lay eggs more than once. Assigning a specific timeline to a mosquito’s life is hard. We have reviewed how each species and other natural factors determine how long mosquitoes live.. Generally, male mosquitoes live an average of seven days, while the females can live between 48 and 300 days - as we will see in the next section. How Long Can Mosquitoes Survive Without Feeding? We already know now that male mosquitoes have a short lifespan of up to a week. Therefore, this section will discuss female feeding habits which are more observable due to their longer lifespan. Mosquitoes are cold-blooded, so they need warm temperatures of 80 degrees or more to thrive. When temperatures fall below 50 degrees, more often than not, a mosquito will shut down its development until it is optimum to hunt for food. This is a form of hibernation, known as diapausing. This process happens most often during winter, as icy temperatures would freeze their blood. Dry frosty air can desiccate them on prolonged exposure. As winter approaches, females begin to store nutrients for sustenance during this long nap. They have an internal structure which imitates a human’s fat cells. Obtained nutrients are stored in other bodily tissues as well. Fat accumulation in diapausing mosquitoes is up to ten times higher than that of an average mosquito. Incredibly, diapausing mosquitoes can survive being frozen solid. They achieve this by creating sugars and sugar alcohols that act to protect their cell membranes. These substances are formed by metabolizing the fat stores accumulated in the lead up to hibernation. The mosquito also produces heat shock proteins. These are unique molecules produced when the insect is under severe stress. They help to protect other important proteins from becoming damaged. While diapausing, female mosquitoes are also able to tolerate severe dehydration. Adult female Northern House mosquitoes are also examples of fascinating survival techniques. This species like to visit flowers to feed on nectar. Afterwards, they will seek shelter and hibernate for about eight months until the need for food emerges. The length of time a mosquito can survive without food can vary. So long as they have consumed enough food and stored enough body fat prior to diapause, they can survive for many months. Generally, only female mosquitoes who have not already laid eggs will go into diapause. What Other Factors Can Affect the Lifespan of a Mosquito? It’s a fact that mosquitoes enjoy wet and warm climates. The southern US has favored mosquito territory, but they can exist almost everywhere. The tropics are also known for their pleasant temperatures, which are perfect for breeding. Mosquitoes cannot breed in very low temperatures, being cold-blooded, hotter surroundings support their metabolism and their ability to nourish eggs. However, as temperatures climb higher, their activity also declines. Mosquitoes bite less when it becomes excessively hot, as it poses the danger of dehydration and death. If temperatures drop below 50 degrees, it becomes hard for the mosquitoes to move around and search for food. Without long periods of feeding, they become unable to breed and will die. If the eggs are not fertilized or adequately nourished during this period, or the adults die, there will be no offspring for that generation. Mosquitoes have a high affinity for warm, standing water, especially stagnant water. Even though you find mosquitoes in all sorts of habitats, there are only two types of breeding habit. Some are floodwater breeders, which means that water habitats are only temporary. The others are permanent water breeding mosquitoes, which prefer a water source that is available for long periods of time. Some species, however, have evolved so that their breeding preference is limited to contained water. This selective breeding affects their lifespan because if they lack their preferred conditions, then breeding will not take place, stunting reproduction. Consequently, where standing water is already present, rainfall will disrupt any eggs that have already been laid. This can negatively affect their chances of survival. However, once the rainfall period passes, the resulting puddles can give rise to an increase in the local mosquito population. Female mosquitoes need blood to nourish their eggs, but this is not their only source of food. Mosquitoes also feed on nectar, fruits, and other plants. As with different nutritional requirements, different species prefer different types of food. If the availability of the preferred source of food becomes suddenly limited, mosquitoes may starve before they are able to breed. Fertilized female mosquitoes can hibernate over the winter, while the males die off. Females need to have a change of diet and gain weight before they settle in for the non-developmental diapause period. Female mosquitoes will eat extra sugars to increase their fat body content. This means they will not need to feed again until spring. Late in the season, they will stop searching for blood and instead seek out nectar and decomposing fruit. Studies have shown that when the days begin to get shorter, changes occur in a mosquito’s genetic code. Two genes which are responsible for blood digestion turn off, while another gene responsible for sugar digestion and storing fat switches on. This encourages the mosquito to change her diet in order to survive. Should there not be any adequate food sources available, female mosquitoes will die while attempting to diapause. For such tiny and dangerous insects, mosquitoes are rather impressive creatures. They are incredibly resilient, able to withstand harsh conditions and come out biting on the other side. Unfortunately for us, mosquitoes can bring disease, irritation and misery with them. The global fight between humans and mosquitoes is unlikely to be won any time soon. In the meantime though, understanding more about them will help you to win the smaller battles, such as keeping them from ruining your summer days out.